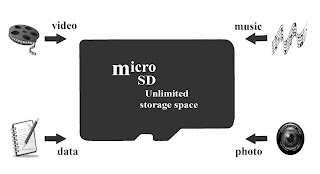 Whatever you call it; memory stick, memory card or SD card, they refer to the same thing, an external storage used for storing data. A friend of mine once gave me a sd card, 32GB actually, which made me very happy, only to find out it doesn't retain data for long before it corrupts it. That was when I realised it was a fake SD card. So I will be showing you how to identify a fake SD card when buying one. If you make use of a digital camera or other gadget that uses SD card, you are probably aware how difficult it can be to identify if your SD card is authentic or fake. Fake memory cards or SD cards have now spread throughout the marketplace worldwide. Packaging and labels on the cards can make it difficult to differentiate between a fake SD card and the authentic one. SD Insight is a free, fast and easy to use android application that you can use on your device to know if your SD card is actually authentic. Within few seconds the application reads the details from your SD card and displays the information in a very easy to understand format. According to the developers of SD insight, " Purchasing and using an inferior quality card means you are not getting what you paid for, and fake SD cards have no warranty - when the card fails, you're out of luck. Also, the quality of fake cards sometimes have invalid partition sizes, making it likely to fail"
How does SD Insight works? • Insert your SD card into your Android device. (Note: its advisable to turn off your cell phone to do this). • Launch the SD Insight application application you downloaded. • Within few seconds your SD card information is displayed in an easy to understand format on your device screen. • You can see information such as manufacturer name, date of manufacture, product name and serial number. • If it displays invalid, it means the SD card may be fake. Otherwise, it's genuine. • Click the Menu button to see more detailed information about your memory card. After running SD Insight to check my sd card, I got a message “Origin is UNKNOWN”. What does this mean? What this simply means is that, the manufacturer of your SD card is not in the SD Insight app database at the moment. This means that your SD card may be authentic, but the SD card insight cannot confirm its authenticity.